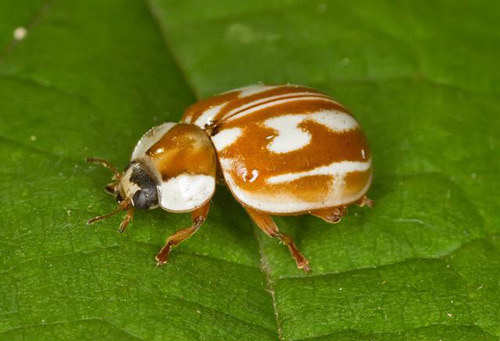 Special features: Striped ladybirds have red-brown wing casings with up to 15 cream coloured streaks and spots. On the pronotum, just above the eyes, there is a faint brown M-shaped marking. Distribution: Widely distributed in the UK. Can be common in areas where it is found such as in Dorset and Hampshire.